Material Diecast. Size: 21 cm. Condition: New Sealed in Box. PRODUTTORE/MANUFATCURER: Neo Scale Models. Original Scale Model (in new conditions mint boxed). PRODUTTORE/MANUFATCURER: Hpi Racing. Scale Model. Original Scale Model (in new conditions mint boxed). PRODUTTORE/MANUFATCURER: Best Model. PRODUTTORE/MANUFATCURER: Brumm. Original Scale Model (in new conditions mint boxed). 1:18th scale. ALL PARCELS. No models will be dispatched until funds are cleared. 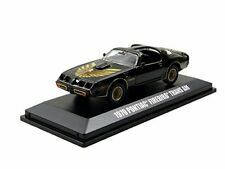 1/76th Scale Diecast Model 76DTYP001. Adult Collectible - Not For Children Under 14 Years of Age.